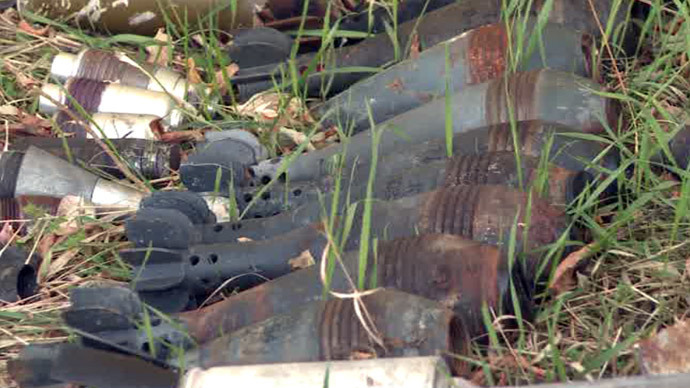 Local militia has said that the plant was targeted by a tactical Tochka-U missile (SS-21 Scarab).RT’s team in Donetsk is trying to verify this information. RT correspondent Roman Kosarev posted on his Twitter account that the blast was heard across the city. “We are now checking the information that a ballistic missile ss-21was used,” he tweeted. When RT’s team arrived at the scene, they found a crater “about 10 meters (33 feet) deep,” he said. No one has been killed or injured in the blast, local authorities said. “A chemical radiometric laboratory has taken measurements of air at the scene in terms of quantity of hazardous chemicals in the atmosphere. Maximum permissible concentrations haven’t been exceeded,” the regional administration said on its website. Windows were also shattered at Donbas Arena stadium in the city center, where some of the Euro 2012 football games were held. 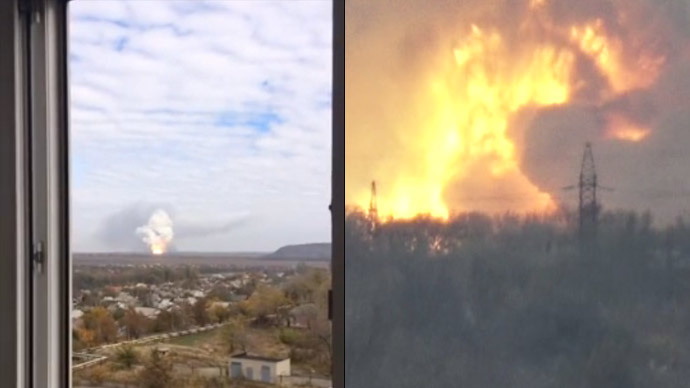 Massive shelling of Donetsk. Much closer than I've heard before. DNR public meeting on gas & electricity evacuated after windows smashed. “The blast was really strong. I live far away from the scene – I can say that my neighborhood is probably the farthest away. If we had windows shattered here, I can’t imagine what it was like there,” Lesia, local resident, told RT. 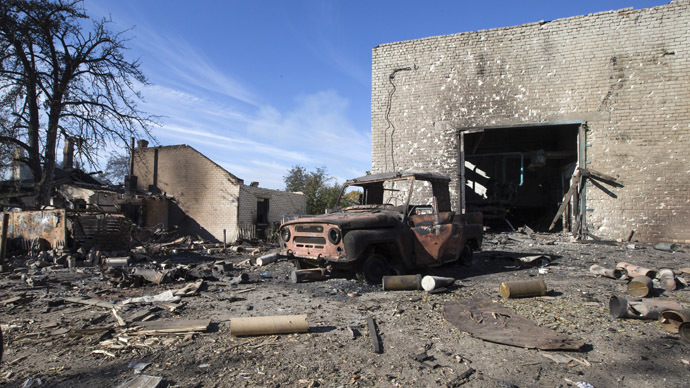 Blasts and artillery fire could be heard in Donetsk throughout the day, the city's council said. Two hours after the explosion at the plant, one of the neighborhoods was shelled and two apartment blocks damaged. 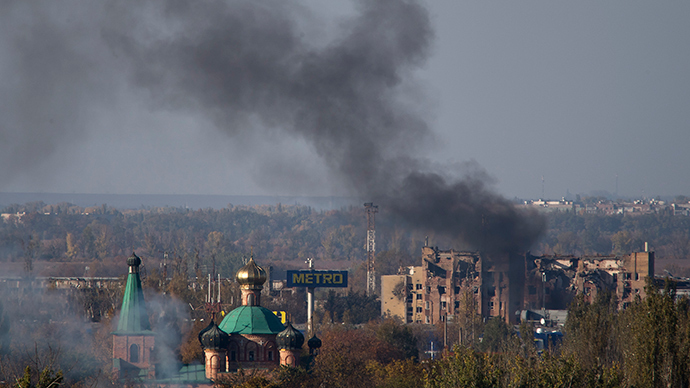 This recent explosion happened during a ceasefire negotiated between Kiev and southeastern Ukraine in Minsk last month. Last week Ukrainian President Petro Poroshenko signed a document on special status for the Donetsk and Lugansk regions.